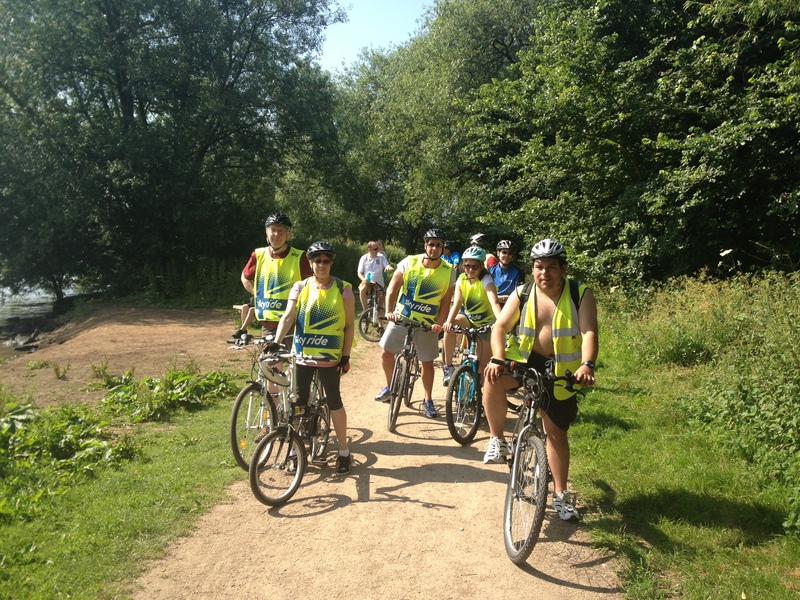 A very sunny and warm ride around the Lakes of Kingsbury Waterpark on Sunday. A total of 10 adults and children turned up at 10-00am and off we set for the 3 mile cycle ride around Bodymoor Heath Lake. Due to the glorious weather the park filled up with lots of visitors. 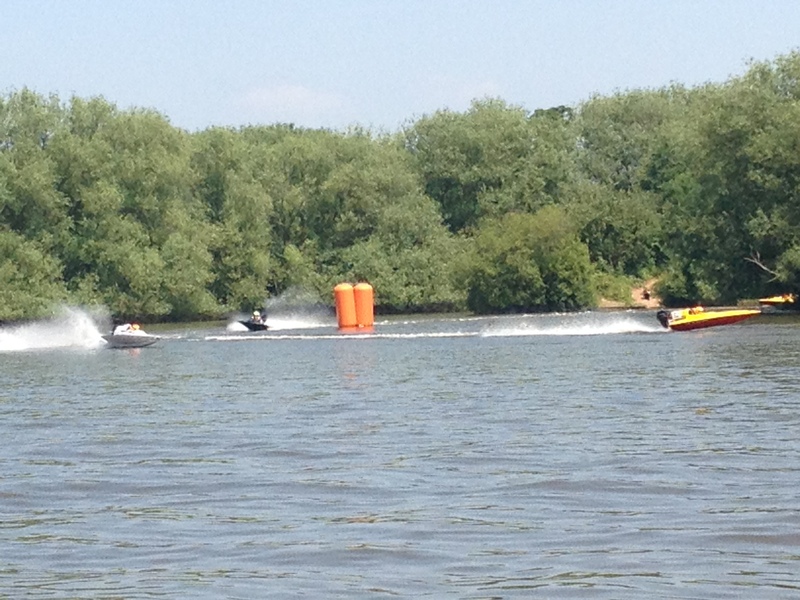 Whilst cycling around the Lake we were entertained by the powerboat racers skimming across the water at high-speed very much in contrast to our relaxed and leisurely family orientated ride. 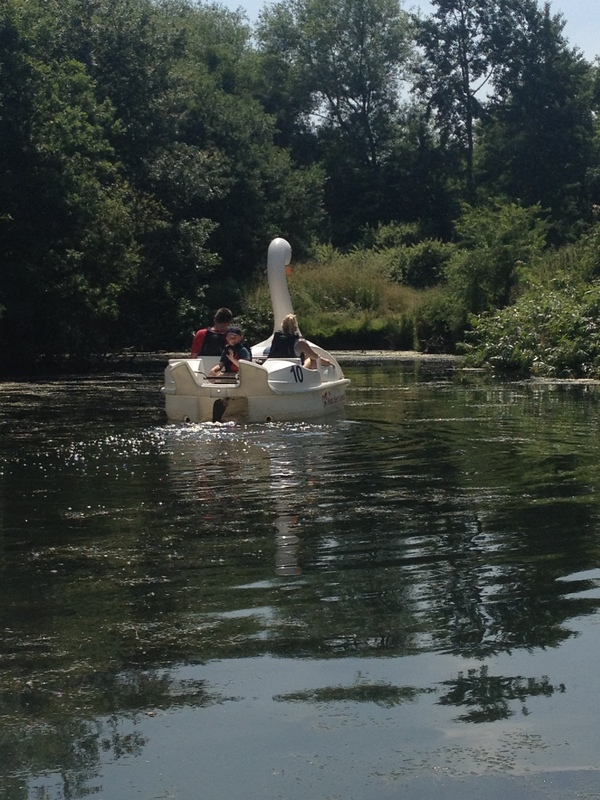 After the end of the ride I was joined by family and friends for a picnic and pedalo ride on the Swans.